Rand Paul doesn’t like former CIA Director John Brennan. 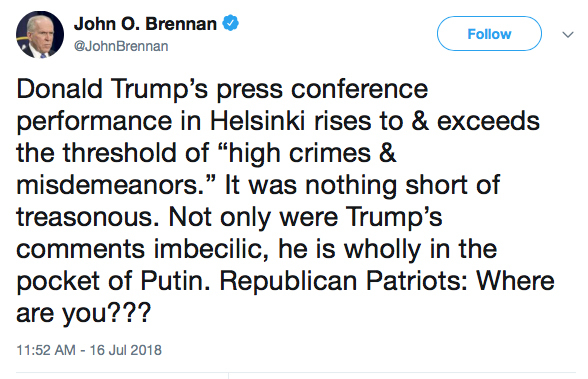 And John Brennan doesn’t like a lot people. Especially Donald Trump. The “dustbin of history” crack is kind of interesting because Brennan wasn’t always opposed to Russian meddling. In fact, in a youthful indiscretion at the height of the cold war in 1974, he voted for the Soviet funded American Communist Gus Hall for president. 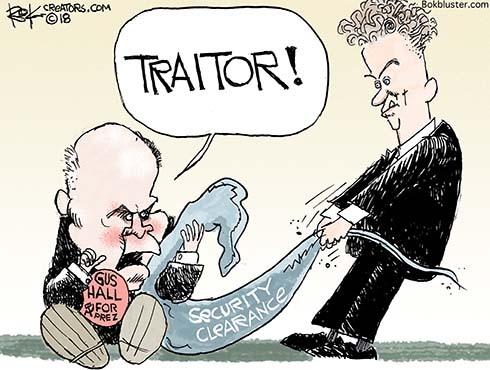 Rand Paul thinks it’s time to yank Brennan’s national security clearance. I didn’t even know he had one. But it turns out it’s a common professional courtesy given to ex spooks. Why? Because the incoming Obama White House thought that in the early months of a new administration, we might have some useful insights to impart—information about how past events had developed, or impressions of top people in foreign governments—and our successors wanted to be able to discuss classified information with us and elicit our views. 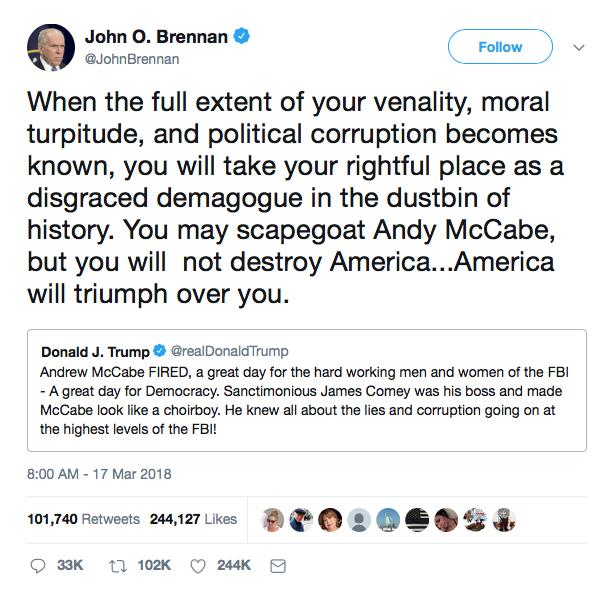 It doesn’t seem likely Brennan will be doing much consulting with the Venal Traitor Trump. Brennen is an embarrassment to all true patriots. In the end, Brennen’s fingerprints are all over the Fake Russian Collusion story.